Enquire today about my services as a Cambridge wedding photographer. I mainly photograph weddings in Cambridge & Cambridgeshire, but also around East Anglia. However, I have been known to travel all around the UK, to Wales and Scotland, and even to Italy and France for destination weddings. 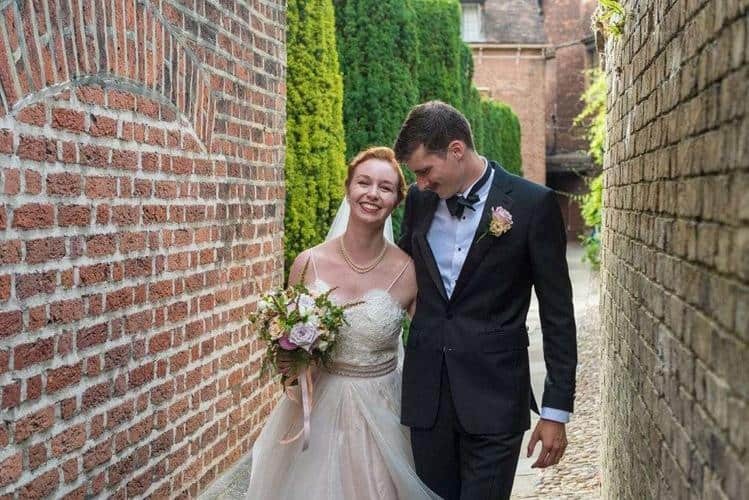 You’re looking to hire one of the best Cambridge wedding photographers, to capture truly magical Cambridge wedding photography moments on your big day and you are also keen on good prices? Look no further! I will cover your whole wedding day for a very competitive price and best of all: I will deliver more images to you than my competitors. Need more convincing? Contact me today to book your date in my diary. I still have some dates available this year, so do not hesitate to fill my contact form if you are getting married in 2019/2020. By choosing me as your Cambridge wedding photographer, you will get the value and quality that you desire and deserve and you will not be disappointed. I have steadily captured 30+ weddings per year for the last 8 years, and this experience, as well as the reviews from previous couples, comfort me in the belief that I can deliver on my promise. I am based in Cambridge and photograph weddings in East Anglia and the rest of the UK. If you are getting married further away in the United Kingdom and would like me to photograph your wedding, contact me so that we can look at the possibilities. For weddings taking place in the UK, away from Cambridge, travel costs are included in all packages. Using a natural, storytelling & creative photography, I capture as many images as possible in a relaxed & unobtrusive way. I can, if you like, include a balance of posed photographs in the mix. It’s your day, so you decide. Either one or two photographers will help record your day in pictures. From the moment your makeup artist starts to apply makeup until the dancing is in full swing, the best wedding photos will tell a story about your big day. My wedding photography is all about a fresh, contemporary take on your big day, documenting the preparation, the ceremony, the reception and the evening as they happen. I have been a Cambridge wedding photographer since 1998. At the time, I was shooting weddings on film negatives, and I’m really wondering how I could have done it without a digital camera, but back then I suppose, that’s all we knew and you had to understand the light and your camera better if you wanted to achieve something. Since 1998, I have shot 275+ weddings, mainly in Cambridge and the county at large, but also in Suffolk, Norfolk, Essex, Herts, London, Stafford, Shropshire, Herefordshire, Wales, Wiltshire and Glasgow. I have also shot a few in France, near Poitiers and in Brittany, as well as Tuscany. I would be happy to discuss your requirements if you are getting married abroad. I started my career using a Nikon film camera. And I am now taking pictures using the latest Nikon digital cameras (D3 & D750), lenses and flashes. I come highly recommended. I get booked a lot via word of mouth, from previous couples and clients who recommend me to their friends and family. I am friendly and get on well with the guests, I know what I am doing, and I am not stressed, which I think is very important. I am unobtrusive and do not like to influence the day much. If I need the couple to look at me or adopt a particular pose, I will ask them, but that would be for not more than 15 minutes in the whole day. This is your day, and I want it to remain that way. I’m there to record it with my own eyes, but I will let it flow and just capture events as they happen. I have been recently named one of the top 3 wedding photographers in Cambridge (October 2018). I am also one of the preferred wedding photographers of many venues in Cambridge: Queens’ college, Magdalene college, Trinity Hall college & Corpus Christi college and Hotel Felix. As well as The Athenaeum in Bury St Edmunds. I know my way around Cambridge University colleges & wedding venues in and around Cambridge. As well as most wedding venues around our county of Cambridgeshire. I have shot wedding photography in Cambridge for years and my various offers are perfect for you if you are getting married in the city. After the wedding, all the photographs should be uploaded 3 months max after your wedding, and your USB key should be with you within 6 months of the big day. I answer some of the most popular questions asked by our customers here. That way you will already know the answer when we meet for our initial consultation. Feel free to ask any question you cannot find an answer for on here. If you do not find the information you need on this page, contact me.